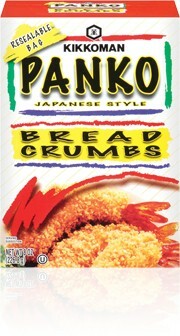 Print your coupon for $0.75 off one box of Panko bread crumbs here. Print your coupon for $2.25 off two PediaSure products here. My love affair with Totsy continues. I used to think it was just a kid's clothing site, but boy was I wrong. They have everything. And their prices are unbelievable. If you sign up for a new membership on Totsy (with a new email address), your shipping is free. To find the items mentioned here, sign up or log in here and then scroll down and click on "Kitchen Essentials." They've restocked on a ton of beautiful and frugally priced items and added some new ones. Did you ever think a plastic wrap dispenser could be so fun looking? $5.00. 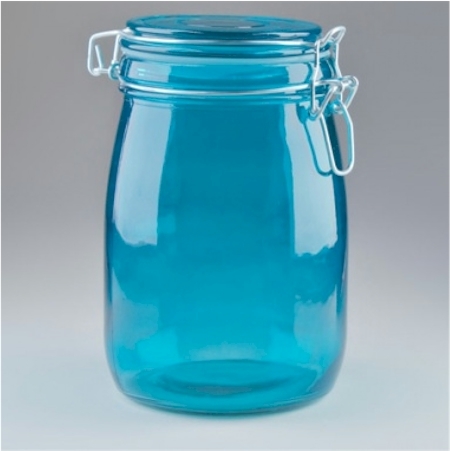 These colored hermetic glass jars are $1.50 each. Are you kidding me? 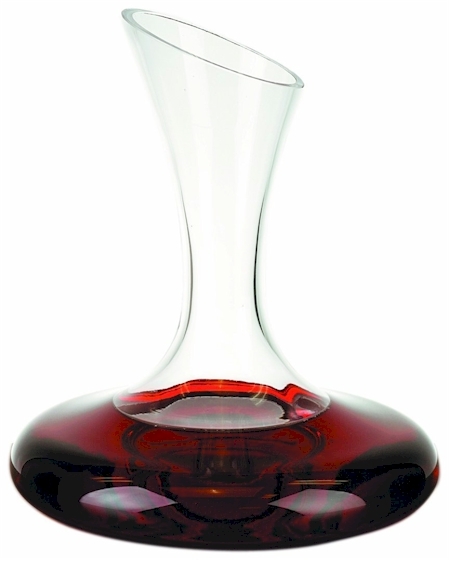 These 1-liter glass carafes are also $1.50 each. These colored stoppered glass bottles are also $1.50. I'm picturing this one filled with homemade sangria. 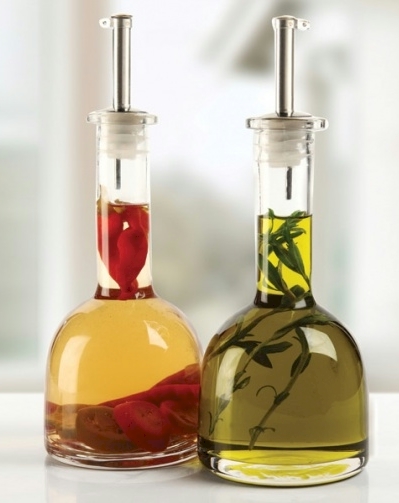 These oil and vinegar cruets are just $6.00 for the set. 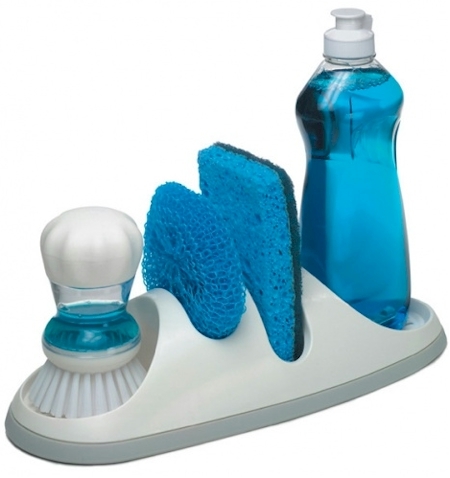 This sink organizer caddy makes unsightly messes appear under control and neat and is $5.00. Hurry, as buys like this on Totsy tend to go very quickly. Sign up or log in and then go to "Kitchen Essentials" to snag these great deals on kitchenware. Remember, shipping is free if you sign up with a new membership (with a new email address). 24 Hour Fitness is offering a week free at any of their clubs nationwide, no strings. Schedule a free weight-loss consultation at a local Curves. Hurry, because at midnight, EST, not only will we ring in 2013, but this deal will also go away, so snag these boots now. 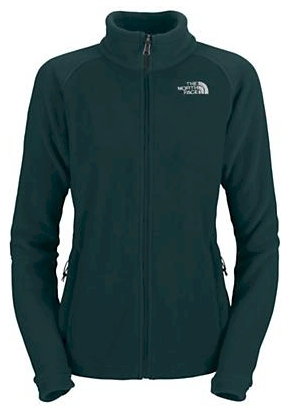 Moosejaw has the North Face women's Khumbu jacket for $66.99 with free shipping. 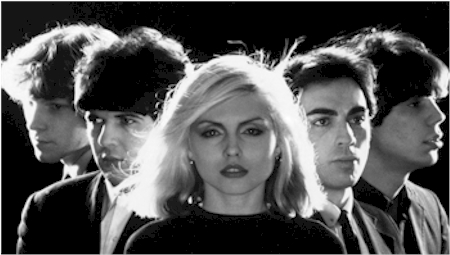 Blondie fans, here are three free 2011 Blondie song downloads. 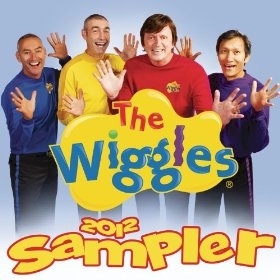 As a followup to their super-popular freebie 2011 Amazon MP3 album sampler, here is a free download of The Wiggles 2012 album sampler. After a lifetime of never winning anything, I finally won a recipe contest on Facebook. Please check out Natural & Kosher Cheese's Facebook page (and give them a like while you're there) and you'll see my recipe for Cheesy Brocco-Spin-Shroom Quiche. 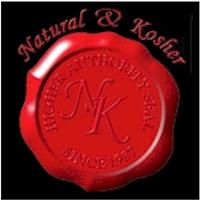 Thanks, Natural and Kosher; my husband is doing a little happy dance at the thought of getting a prize basket full of your cheese! 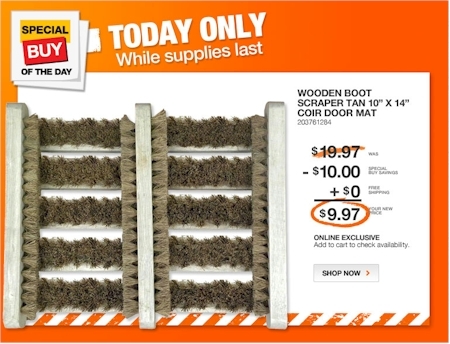 Today's Special Buy of the Day at Home Depot is this Creative Accents Wooden Boot Scraper door mat for $9.97 with free shipping. 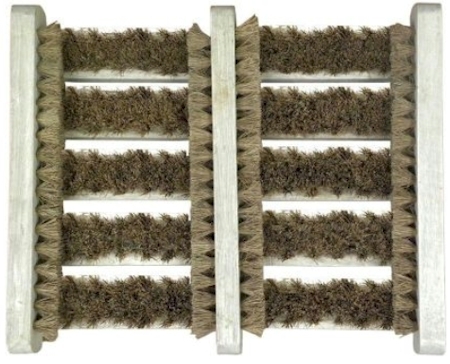 We put one of these out each November; it totally saves our hardwoods from all the mud and detritus of Colorado's winters. Grab it today, because tomorrow it goes back to its regular price of $19.97 plus shipping. 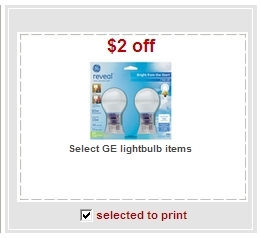 $1.00 any two GE reveal products manufacturer's coupon here. And pay $1.39 for each of two 4-packs. Botanic Choice has got a new $10 off $20 promotion going. Enter promo code 103ANNIV at checkout to get $10 off your $20 purchase. Free shipping starts at $25 after the coupon has been applied. Using this deal, you can purchase three gift baskets with six 2 oz. herbal liquid soaps in each for $26 with free shipping. That works out to $1.45 per herbal liquid soap. Here's how you do it. Click here and add three of these Botanic Choice Liquid Herbal Soap Basket (each containing 6 bottles) to your shopping cart. The baskets are on sale for $12 each, so your total is $36. At checkout, enter promo code 103ANNIV, and watch the price drop by $10 to $26. Since the total after the coupon is over $25, shipping is free. 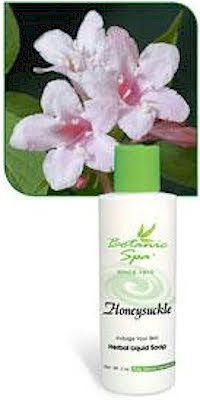 You'll get three gift baskets or 18 bottles of Botanic Choice Liquid Herbal Soap for $26 shipped, or $1.45 per bottle. I would definitely try to use this one at a store that doubles coupons. Print your coupon for $0.50 off six Starkist pouches here. Goodbye, diet. Print your coupon for buy two get one free on Milky Way bars. 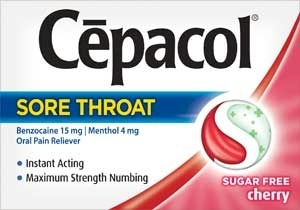 Dollar Tree has got the 16-count Cepacol for $1.00. Print this $1.00 coupon for Cepacol here (you'll be able to print it twice), and those Cepacol lozenges are FREE. 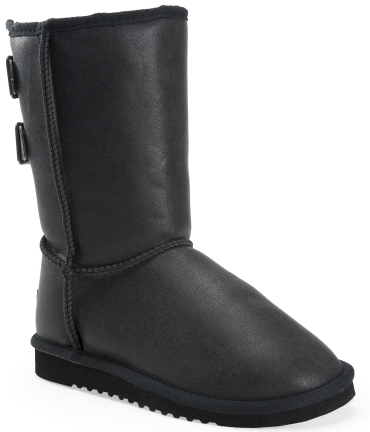 Aeropostale has these black Sherpa boots for just $15.00! 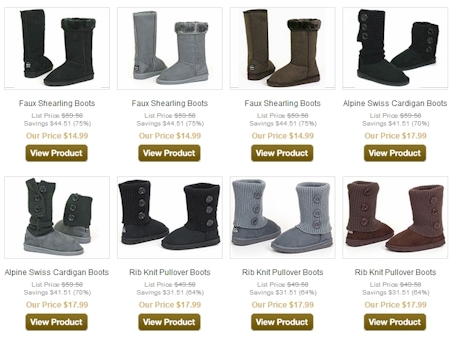 Use promo code AEROBOOT at checkout to get free shipping (good through 12/31/12). Currently size 6-10 are available (not for long). Print your coupon for $1.00 off one box of Kashi Berry Fruitful cereal here. Stack it with this new $0.75 store coupon from Target for even more savings. This cereal is on sale for $2.75 at Target, so after these coupon, it will be just $1.00. 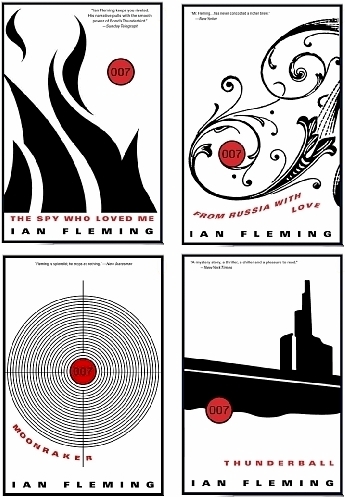 Today, 12/30/12 only, on Amazon's Gold Box Deal, 50 suspense novels, including 14 exciting James Bond thrillers, are available for $1.99 or less. These books can be read on Kindles and free Kindle reading apps that can be loaded on pretty much any device (see list below of free Kindle app downloads) or given as gifts to anyone with an e-mail address. 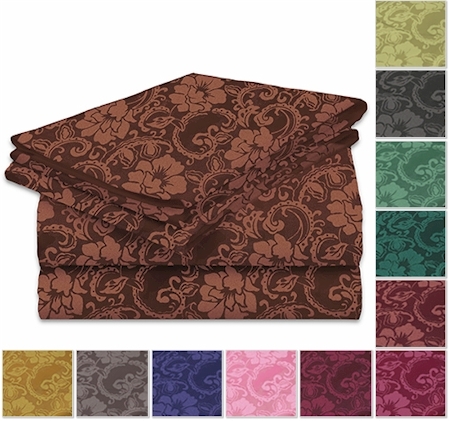 1SaleADay has these damask sheet sets for just $9.99 with free shipping, today, 12/30/12 only. 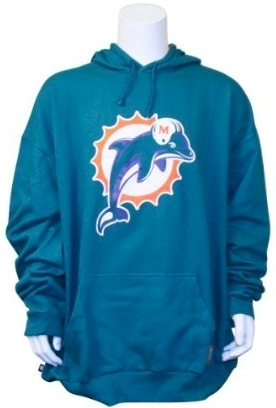 Made of machine washable, super-soft 100% brushed microfiber. This deal will disappear at midnight EST tonight, so hurry and snag this great deal on bedding. UPDATE: They have restocked in all colors! 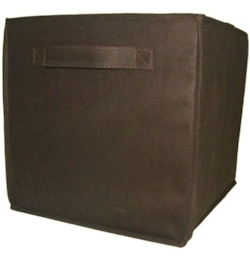 Get this Essentials Home storage bin in chocolate brown from Kmart for only $2.24 with free store pickup (shipping is not available). This storage bin did come in other colors but they have all sold out. All colors are now available! The storage bins are marked at $2.49, but use promo code OFFERS10 at checkout to drop that price by 10% down to $2.24. This Cuisinart mirror finish stainless steel 13-1/2" lasagna pan is at its lowest price ever on Amazon: $28.24 with free shipping. They are temporarily out of stock, but you can still order it and lock in this price, and they will ship it as soon as they restock. I'm on a long-term mission to replace all of my old aluminum pans with stainless steel and glass, so I was thrilled to find this deal. 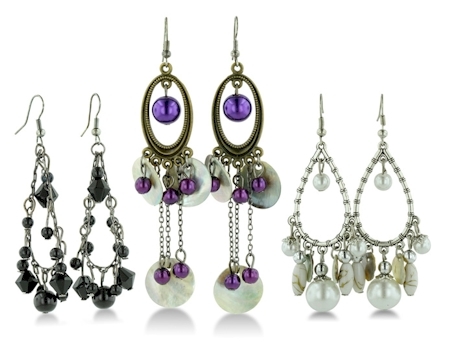 SuperJeweler has this trio of chandelier earrings on clearance for $10.00 (for all three) with free shipping. 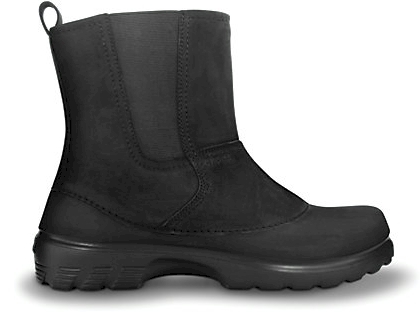 Crocs has Greeley men's leather boots for $26.24 with free shipping. It's priced at $34.99, but use promo code SAVE to drop that price by 25% to $26.24 and promo code FSCROCS for free shipping. Comes in black, espresso and khaki. Fully-molded Croslite material shell for maximum lightweight cushioning. Croslite material is buffed for a rich, suede-like finish. Soft, furry lining for warmth. Elastic gore panels for easy on and off. Seam-sealed construction for increased water resistance. Print your coupon for $0.75 off Panko bread crumbs here. The Phillips Norelco 6945 shaver is on Amazon for $27.97 (originally $39.99), but if you scroll down ever so slightly. you'll be able to "clip" the $10.00 coupon, making this shaver $17.97 with free Prime/SuperSaver shipping. Kohl's is having a HUGE end-of-year clearance sale on kids and baby's clothing with prices starting at $1.20! But wait, there's more. Free shipping starts at $50.00. If you're a Kohl's credit card holder, use promo code SHIPGIFT4KC to get free shipping. Use promo code NEWYEAR20 to get an additional 20% off. 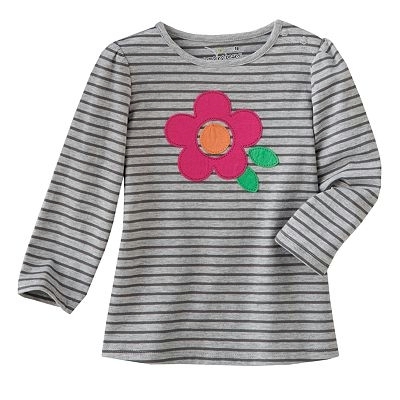 The Jumping Beans Stripe & Applique Babydoll Top pictured above, in sizes 1-year, 18 months and 2-years is $1.92 (orginally $12.00). After the 20% promo code NEWYEAR20, it's just $1.54. Amazon is running a limited-time end-of-year clearance sale: 40% off Reebok and Adidas on NBA, MLB, NCAA, NHL, NFL, and MLS gear, like jerseys, caps, sweatshirts, t-shirts, hoodies and more, featuring your favorite teams. Free Prime or SuperSaver ($25 minimum purchase) shipping. 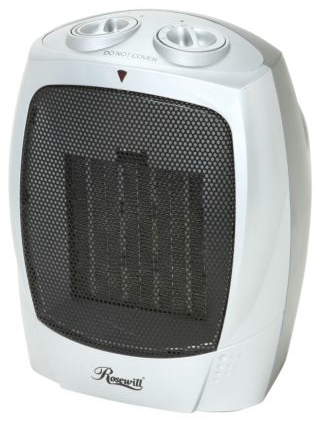 Get this Rosewill ceramic heater for $9.99 with free shipping from Newegg . It's marked at $14.99, but until 12/31/12, use promo code YRENDCLRNC51 to drop that price by $5.00 to $9.99. Free standard shipping or free 2-day Shoprunner shipping is available. 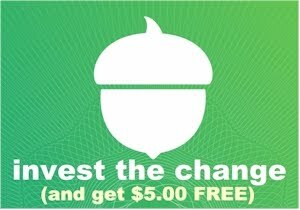 The $5.00 promo code is good through 12/31/12. Adjustable thermostat maintains desired temperature. Get a free 10-lb. bag of Pedigree dog food and four free 13.2 oz. cans of any variey Pedigree when you adopt a shelter dog in 2012. You will need to show your dog's adoption papers in order to get the offer. I submitted and received this offer back in 2005 when I adopted my little beagle, so I know it's for real! You will get the free Pedigree in the form of coupons which are redeemable in any store that carries Pedigree dog food. Offer valid in the US only and limit one per household. Must submit your request by 1/31/13. Home Depot has 5-piece tent combo kit for $24.50 with free store pickup (shipping is not available). Includes 1 two-person tent, 2 sleeping bags, 2 mats and a duffle bag to carry them in. Awesome deal; it's a camping trip in a bag! Even if you don't usually go camping, this is great deal on the sleeping bags for kid sleepovers. Product description: The great outdoors is calling and the 5 Piece Tent Combo Kit is the perfect set up for your next adventure. The Dome style Tent sleeps 2 people comfortably. Made of durable lightweight material this weather-worthy tent, with Rain Fly, is great for backpacking and camping. 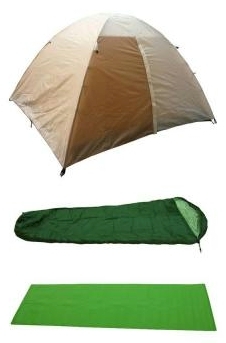 The set also includes 2 Sleeping Bags with stuff sacks and 2 Ground Mats. The entire kit comes neatly in a durable duffle bag for easy transport and storage. Sleeping Bags: Type: mummy with temp rating of 22-40 Degrees (F); weight: 3.3lbs; flame retardant: 75; Size: 86.5 in. x 31.5 in. (top) / 21.5 in. (bottom); shell: polyester 190T; lining: T/C; filling: 2 x 150g/m2 hollow fiber; accessories: collar, draft tube, hanging loops; misc: tension zip testing, color fastening (3-4) in. 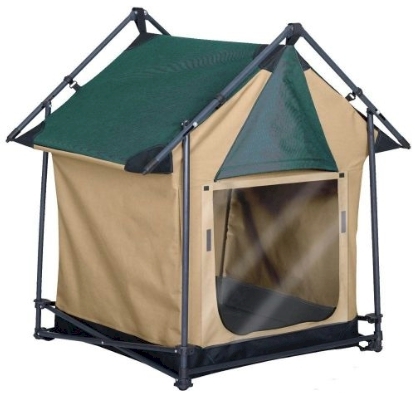 Home Depot has got this "Lucky Dog" medium-sized portable dog house for $9.88 with free store pickup. It's an oddly low price, since the other size doghouses of this kind are $39.98 for the small and $69.98 for the large. This dog house received 5 out of 5 stars in all five customer reviews! Product description: Keep your tent clean, let fido stay in his own tent. These tents’ are great for your home, inside or outside. 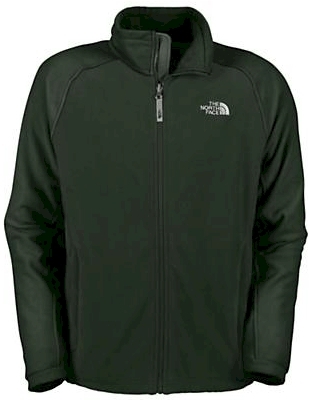 They are also great for outings, such as, trips to the beach, soccer games, camping, hunting and much more. Portable medium dog tent, for dogs up to 70 lbs. Knocks down easily into a handy carry bag. Includes a comfy fleece mat. Download this 2013 New Year's Eve Mix Tape (one hour of uninterrupted techno dance music) for free. Print your coupon for $1.00 off any bag of Cape Code potato chips, 7 oz. or larger. 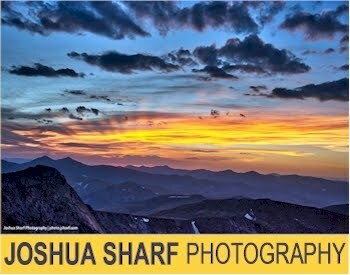 There are only 5,000 coupons available and they are allowing two prints, so hurry. If you don't have Facebook, here's the direct link.